2016 (January to September): Ford, Vauxhall and Volkswagen remained the top-selling car marques in the UK with the Fiesta Britain’s favorite car model. New passenger vehicle registrations in the United Kingdom increased by 2.5% to 2,150,495 cars during the first nine months of 2016. Ford, Vauxhall and VW were again the three best-selling car brands in Britain but all three sold fewer cars and lost market share while BMW, Audi and Mercedes Benz increased sales in the UK in 2016. The Ford Fiesta was again Britain’s favorite car model but sales were sharply down from a year ago. New passenger vehicle registrations in the United Kingdom increased by 2.56% to 2,150,495 cars during the first nine months of 2016. For the second consecutive year, the market exceeded 2 million cars during the first three quarters of the year – a mark not reached between 2004 and 2014. September is traditionally an important month for the British new car market due to number plate changes. September 2016 was no exception and with 469,696 cars sold (+1.6%) the strongest September on record. The car market was helped by low interest rates and attractive offers. Some buyers may also have forwarded purchases in fear of price rises due to the depreciation of the pound. *Registrations for Citroën and DS were combined as Citroën until May 2015. The 20 best-selling car marques in the UK during the first nine months of 2016 remained the same as last year but there were some mostly small changes in the rank order. Ford, Vauxhall and Volkswagen remained the top three best-selling car brands in Britain but all three sold fewer cars than last year and lost around a percentage point in market share each. Volkswagen sales were particularly hard hit with almost 20,000 fewer cars sold in Britain during the first three quarters of 2016. In contrast, the German so-called premium brands BMW, Audi and Mercedes Benz all had stronger sales with Mercedes Benz and BMW the best performers of the top brands. As a result, BMW moved to fourth place from sixth, Audi dropped one rank position and stayed only narrowly ahead of Mercedes Benz that was in seventh place a year ago. Nissan slipped from fifth a year ago to seventh. Peugeot and Toyota also had weaker sales but retained their relative rank positions. Hyundai maintained its tenth place less than a thousand cars ahead of Kia that moved up another rank position. Renault also enjoyed much stronger sales in Britain in 2016 and moved from 14th to 12th but still some way from the top ten. 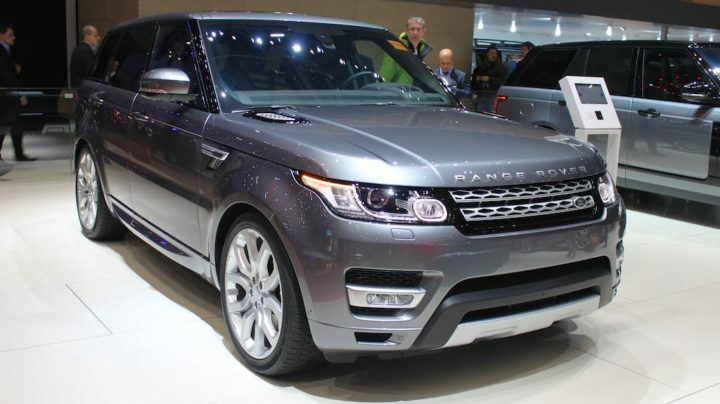 Land Rover was the most improved top brand with sales up more than a quarter and improving to 13th from 16th a year ago. Skoda slipped one place despite stronger sales. Citroën dropped from 11th a year ago but the data is skewed due to DS figures being included in the first five months of 2015. Mini improved one position with stronger sales while Fiat slipped two. Honda was the only marque in the 11 to 20 range to have maintained its position unchanged from a year ago. Mazda and Seat swapped positions. The same ten car models as a year ago made up the list of best-selling car models in Britain in 2016 and only with small position changes. Britain’s top five favorite car models remained unchanged from a year ago. More interesting is how the top four all sold far fewer cars than a year ago. The Ford Fiesta has been Britain’s best-selling car model since 2009 but during the first three quarters of 2016 Ford sold 12,000 fewer Fiestas than a year ago. Vauxhall Corsa sales were down by around 8,000, Ford Focus sales down 12,000 and VW Golf sales down 4,000. Nissan Qashqai sales were up moderately to maintain fifth place. Vauxhall Astra sales improved allowing the Astra to swap positions with the VW Polo that had slightly fewer sales. The Mini and Mercedes Benz C-Class each moved up one position due to the Audi A3 slipping from eighth a year ago with sales down by 5,000 cars.